CNBC ran an article with the headline Mila Kunis rotates from cash to stocks. The S&P 500 was at 1560 then, it’s at 2818 now. That’s an 80% gain (100% total return) since what looked like the mother of all indicators. Last week, State Street announced a new project it developed with another actress, Elizabeth Banks. As you might imagine, this was met with a similar reaction, albeit there was not quite as much hysteria as the Mila Kunis article. There have been plenty of celebrity sightings in the markets in recent years. In early 2017, Kenny G was on CNBC talking about two stocks he really likes. 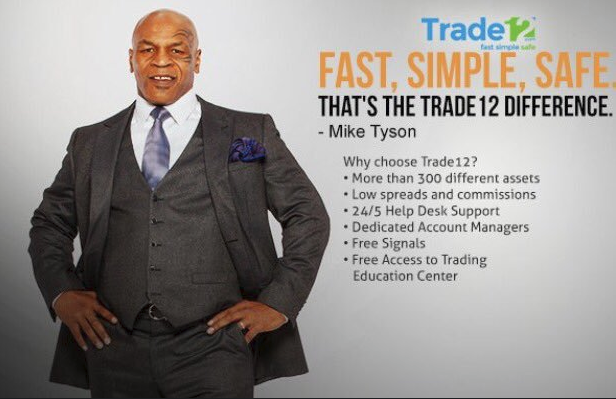 A few weeks later, Mike Tyson endorsed a trading software platform. That certainly looked like something you’d see at the top. The S&P 500 is up 22% since then. In Peter Bernstein’s The Power of Gold: The History of an Obsession he wrote about how everybody got swept up during the bull market of the 1970s. “In the spirit of the times, the famous comedienne Bette Midler, about to depart on European tour, demanded on July 3, 1978, that her $600,000 fee be paid in South African gold coins instead of U.S. dollars.” This was not the top but rather a prophetic move on her part. From July 1978 through January 1980, gold rose 328%! Celebrities make for lousy market indicators. Sure, there are some calls that will appear lousy in hindsight, like when Gisele asked to be paid in Euros instead of dollars. Okay fine, when a super model gets into forex, your antennas should go up. But these things are entertaining more than they are actionable. In September 2015, ProShares launched an S&P 500 Ex-Energy ETF. At the time, crude oil had dropped from a high of $110 in September 2015 to under $40 two years later. 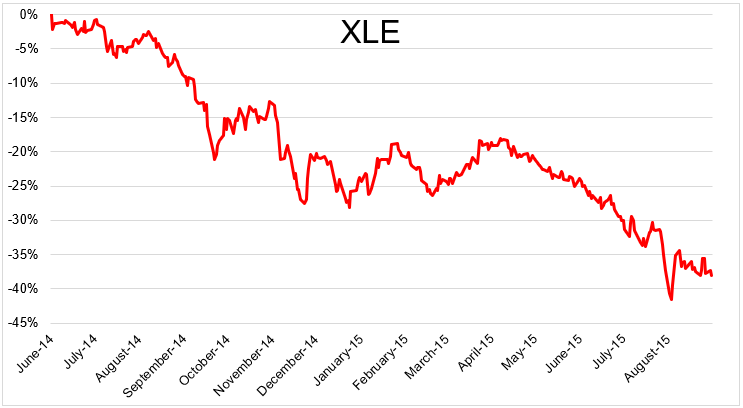 XLE, the energy ETF had declined 40% from its highs. If ever a bell was rung, this was it. But bells are never rung, and we only hear them when it’s already too late. 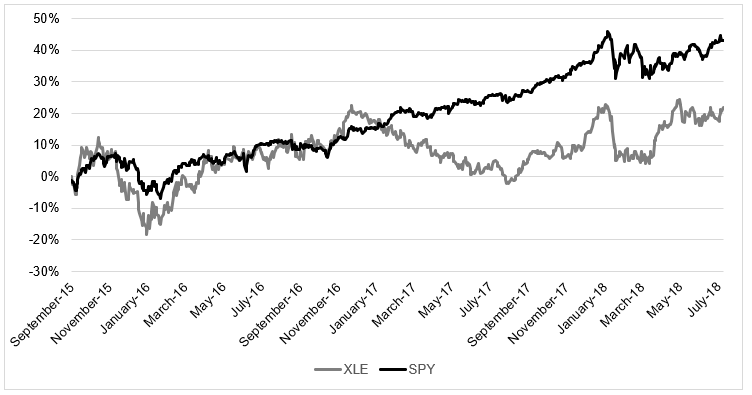 From the time this ETF was launched until today, XLE is up 22%, which is fine, but SPY is up 43% over the same time. Which brings us to today. 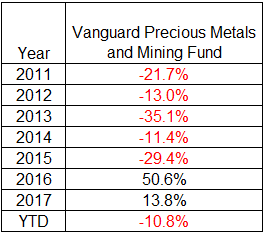 Vanguard just announced that their Precious Metals and Mining Fund will change its name to Global Capital Cycles Fund. This has gotten people’s attention. This fund, which invests primarily in gold mining stocks, is in the midst of a long and painful -54% return over the last ten years. This, coupled with the name change, is definitely something you’ll find on a contrarian’s radar. You can see the annual returns since this death spiral began in the table below. I was surprised to see that it had enormous gains over the last two years. Time will tell if this is one that gets forgotten or one that gets filed in the availability folder. We tend to forget Bette Midler and remember Gisele Bündchen. Media companies have gotten wise to the fact that a lot of buzz is generated by headlines like, and this is real, Kanye West beat the market by more than 40 percent, so expect to see more of these. But if you’re looking for half-decent contrarian indicators, I’d pay much more attention to what fund families are doing than what celebrities are doing. After nine straight year of stock market gains, we’re definitely sensitive to “things you don’t see at the bottom,” I know I am. But be careful getting too excited because there is no reliable signal to found from Mila Kunis or Kenny G or anybody else.